The B9 Diamond XBPM Detector is used for the control of the beam position in experimental beam lines at Synchrotron Light Sources. This detector is an intercepting four-quadrant X-ray beam position detector. The B9 Diamond XBPM Detector provides high X-ray transparency and is therefore suited for soft X-rays beams. The detector is UHV compatible. 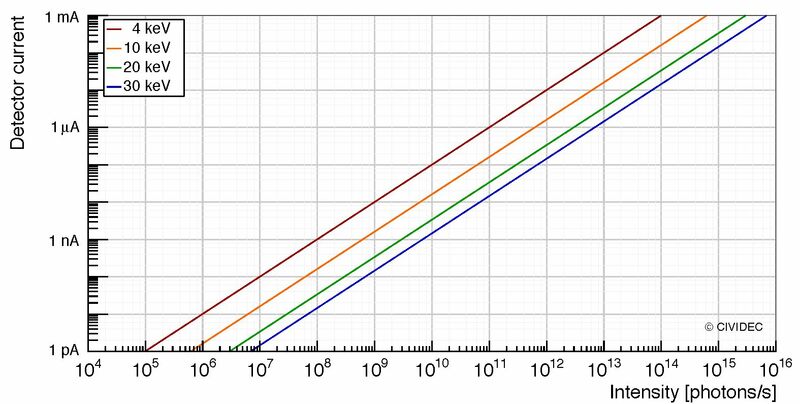 The μ-gap® of the Diamond XBPM Detector makes it most suitable for high-precision measurements of X-ray beams with a beam diameter in the sub-micron range: a nanometer position resolution is provided for sub-micron beams, and 10-3 of the beam size for standard beam sizes, respectively. Ideal for precision measurements of X-ray beams in the sub-μm range. nano-XBPM for sub-micron X-ray beams in the nm range. micro-XBPM for X-ray beams in the μm range. The Diamond XBPM Detector is used for X-ray beam profile measurements. 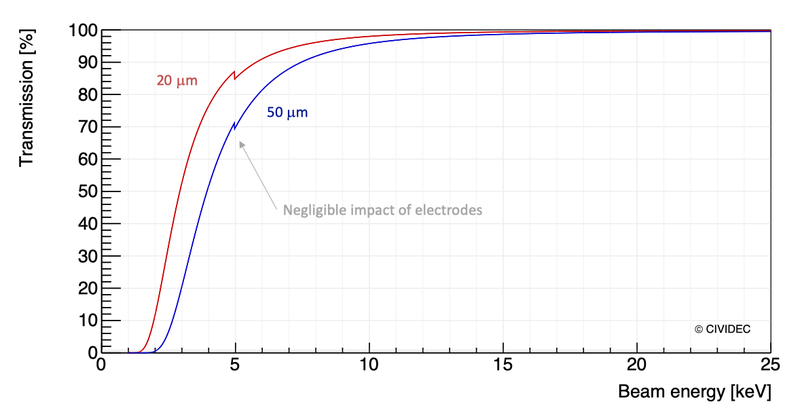 An example is shown in the Figure, where the profile of an elliptical 13 keV X-ray beam with 20 μm x 10 μm was measured with a step size of 6 μm. The excellent homogeneity of the Diamond XBPM Sensor allows to perfectly reproduce the beam profile. The detector has a linear response to the beam intensity of X-ray beams over 10 orders of magnitude. The beam position as well as the beam intensity is measured with this beam-intercepting monitoring device. XBPM at Diamond Light Source Ltd. The Diamond XBPM detector was developed in cooperation with the Diamond Light Source Ltd., Oxford/UK, with the goal to provide a precision instrument with high X-ray transmission. Several CIVIDEC Diamond XBPM are in use at experimental beam lines of DLS. 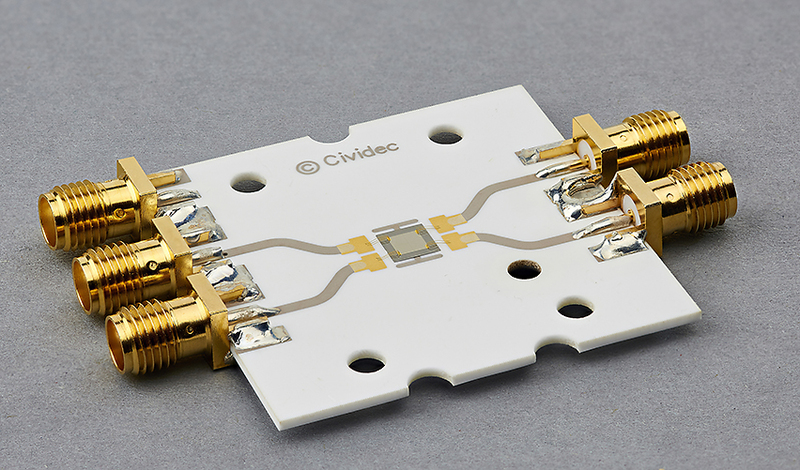 The CIVIDEC Diamond nano-XBPM is used at the NanoMAX and BioMAX beam lines of the MAX IV Laboratory in Lund/Sweden. The XBPM detectors are used to monitor sub-μm X-ray beams of 5-30 keV energy with highest precision.